If you are searching for a Kensington interior designer you’ll understand the importance of finding a design partner who has an in-depth understanding of this West London neighbourhood – its prestige, its history, its personality. After all, Kensington interior design is synonymous with style. The streets are lined with splendid Georgian and Victorian architecture and the area is renowned for its beauty, elegance and affluence. This is a place with a rich history of beautiful homes and gardens and it feels only appropriate that the Victoria and Albert Museum, the world’s largest design museum, is located here. Look beyond the exteriors and you’ll discover that interior design in Kensington has a sophistication to match. London interior designers Callender Howorth understands that designing and styling an appropriate interior for an area like Kensington is challenging and requires an appreciation of not only the subtleties of the area, but also the character – all while not being afraid to inject a bit of fun and a dash of our client’s personality into each design project. You can find out details of our previous Kensington interior design projects – including the renovation of a luxury home – below. Callender Howorth undertook an interior design project in Kensington where we were required to renovate a house that had not been updated for 30 years. The owners of the house were a young family so the design had to be practical as well as stylish. Warm, soft colours were used to give the house a feeling of comfort whilst preserving a sense of spaciousness. Our scrupulous attention to detail provides the house with the luxury finish essential in Kensington. Kensington contains some of London’s most expensive real estate and is well known for its magnificent Regency architecture and famous landmarks such as the Royal Albert Hall, Kensington Palace, Holland Park and the Natural History and Science Museums. This is an area that oozes class and sophistication and the challenge is to create an interior design that not only matches this but also reflects each client’s bespoke requirements. 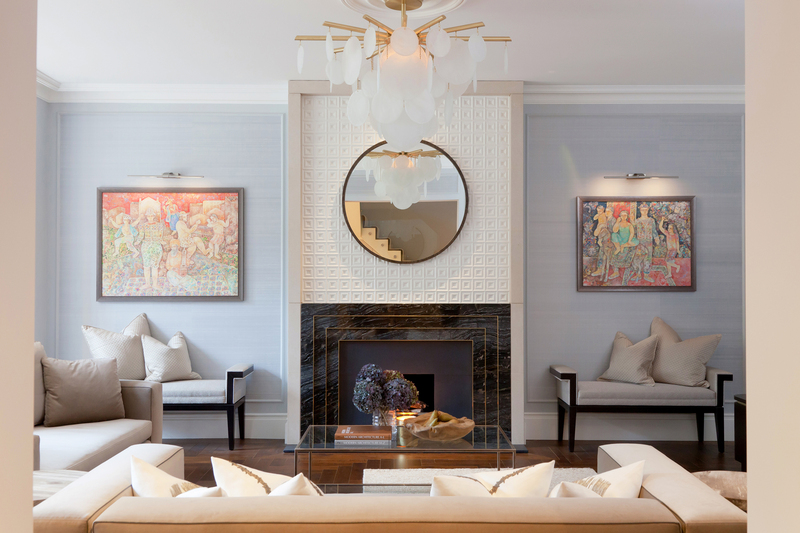 Interior design inspiration comes in all forms, but one particularly famous Kensington interior makeover is the home of world-famous designer Justin Van Breda. His “early Victorian workers’” cottage was renovated in a style he believed reflected both the area and his, and his partner’s, taste and he has called the result a “gradation in sophistication.” The property has featured in home and style publications around the world.